On Sale Now! 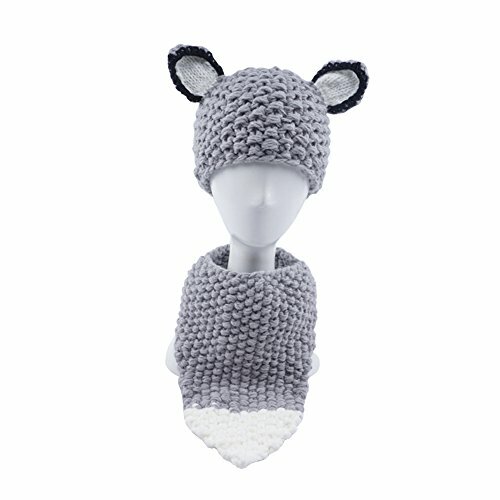 Save 5% on the TBNA Bridal Winter Hat Scarf Earflap Hood Scarves Caps Beanies Knitted Caps Hooded Fox Ear Hat Scarves Set (Grey) by TBNA Bridal at SCRHI. Hurry! Limited time offer. Offer valid only while supplies last. Suitable for 3-8 years children(The accurate size of the cap,please check the picture). If you have any questions about this product by TBNA Bridal, contact us by completing and submitting the form below. If you are looking for a specif part number, please include it with your message.